Being a GoT nerd since forever, the chance to partner with the amazing team at HBO was a dream come true. We made a lot of stuff together over a short amount of time. My favorites are below. In 2013, King Joffrey was the most hated character on TV. 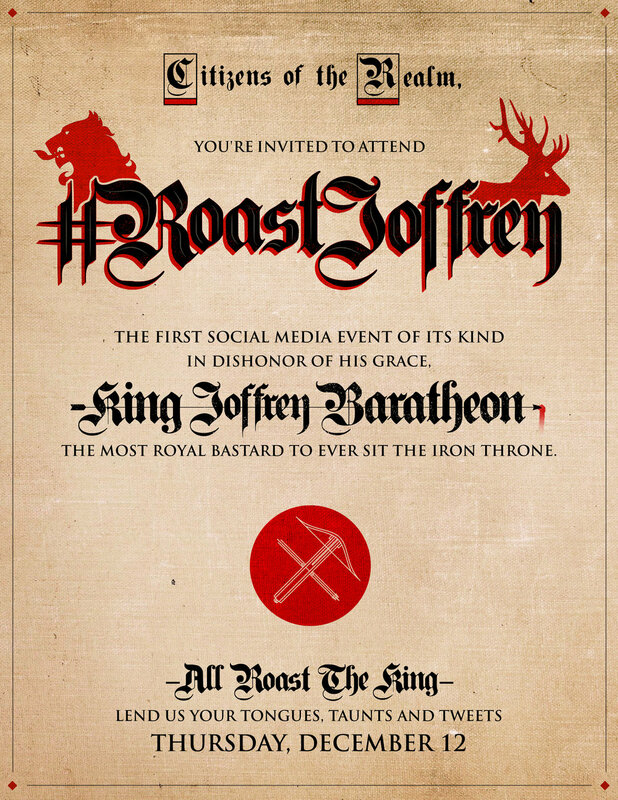 So to keep conversation going between seasons of Game, we hosted the world's first digital comedy roast. People around the world spent two days tearing into the boy king with jokes and jabs on twitter, turning a random Thursday in December into the most social day in Game of Thrones history. All the action lived in a custom-built hub on HBO.com. 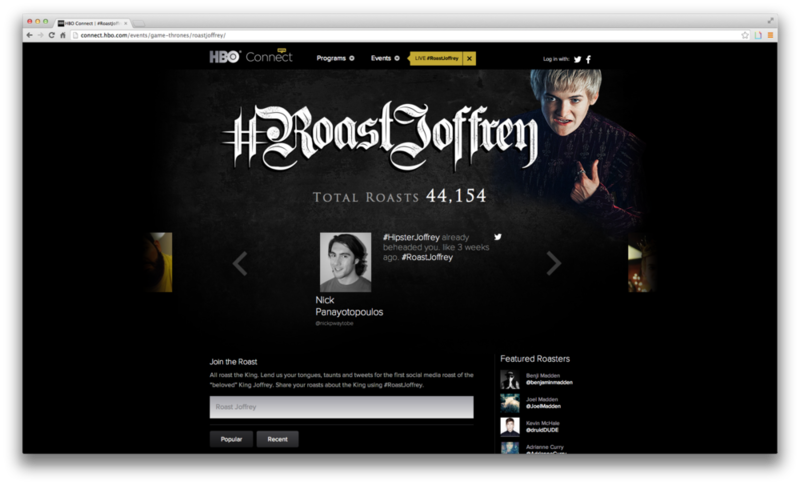 There, fans could find their roasts among those from GoT cast members, social influencers and celebrity roasters at large. Meanwhile, we couldn't just let Joffrey sit idly by. That wouldn't be very Joffrey. So we stirred the pot and responded to fans with customized GIFs and other encouraging content. No episode of Game of Thrones goes by without the death of at least one character. To ramp up excitement for Season 4, we worked with illustrator Robert Ball to release a day by day, death by death episode recap and countdown to the premiere. 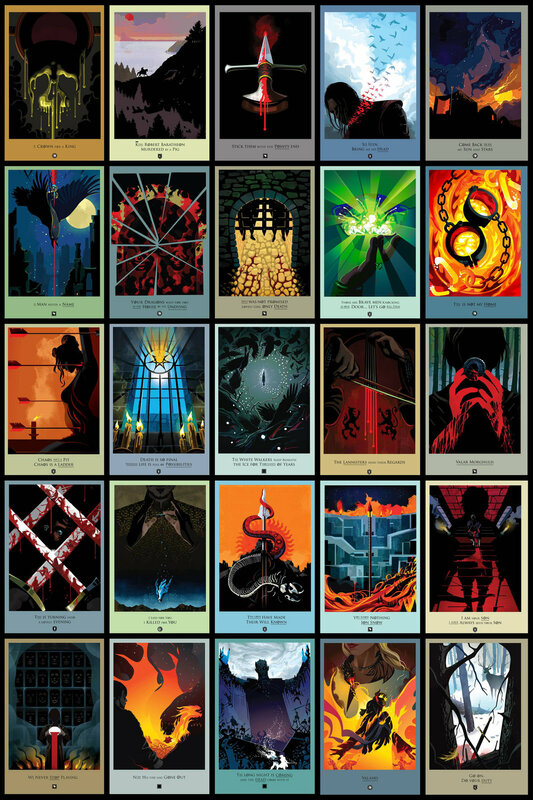 Thanks to fans' love for the campaign—and their thirst for blood—the illustrated poster series is now entering its 4th year. 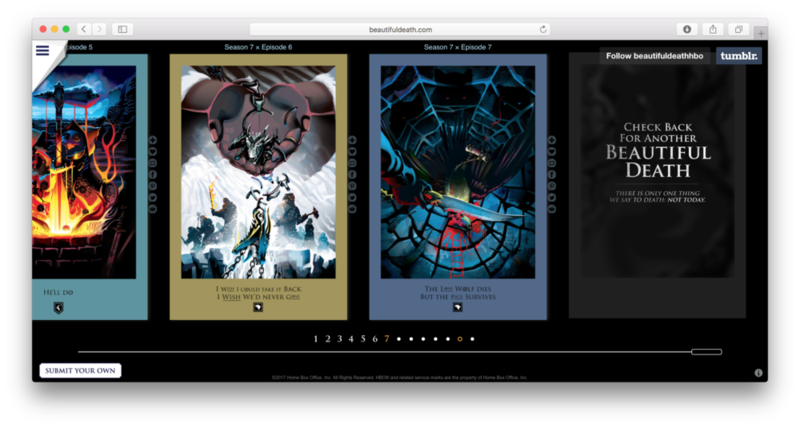 The entire series is still hosted on BeautifulDeath.com, a customized Tumblr page where fans are invited to upload their own fan art beside the campaign posters. *Spoiler Alert* The king is poisoned in Season 4. We knew it was coming, and we knew fans would turn to the Internet to discuss. 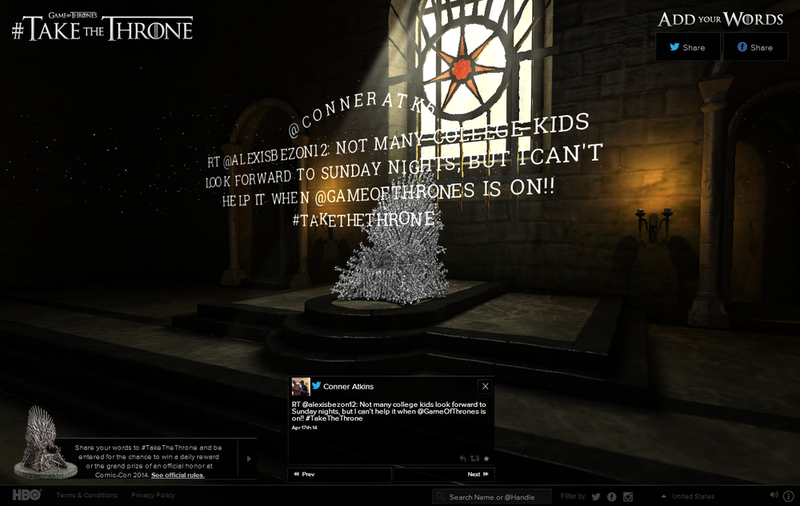 To amplify that conversation further, we invited them to lay their claim to the now empty throne by including #TakeTheThrone. The prize? A chance to meet the cast and debate who they believe is the rightful ruler of the realm. The game came to life as a constantly growing digital throne. Each letter of every tweet was broken down to build a typographic replica using advanced WebGL, dynamic sound design and video game graphics & lighting techniques.